Stewart Stevenson, SNP MSP for Banffshire & Buchan Coast, has welcomed the high uptake of the Domestic Renewable Heat Incentive (RHI) Scheme in the North East and across Scotland. There have been 7,640 renewable heating systems installed across Scotland since the financial incentive scheme was introduced in April 2014 – including 1,029 in North East Scotland. The Domestic Renewable Heat Incentive (Domestic RHI) is a financial incentive to promote the use of renewable heat. Switching to renewable heating systems can help reduce carbon emissions and heating costs for households. Mr Stevenson met with representatives from Ofgem E Serve, the energy regulator’s delivery arm, which administers the scheme on behalf of the Department of Energy and Climate Change. He was pleased to learn that Scotland is at the forefront of uptake across Great Britain, with 1.4 applications per 1000 people in Scotland compared to the GB average of 0.6. In Aberdeenshire, households have installed 204 Air Source Heat Pumps, 210 Biomass Boilers, 88 Ground Source Heat Pumps and 87 solar thermal systems. “I am pleased that so many of my constituents have accessed the Domestic RHI scheme. The scheme will especially benefit those who aren’t on the gas grid as they are likely to save money on their energy bills. Stewart Stevenson, SNP MSP for Banffshire & Buchan Coast, has shown his support for women with breast cancer by dressing up in pink and encouraging his constituents to take part in Breast Cancer Now’s flagship fundraiser wear it pink on Friday 23rd October. Wear it pink, the UK’s biggest pink fundraiser, calls on supporters across the country pull on some pink to raise money for Breast Cancer Now’s life-saving breast cancer research. Mr Stevenson joined fellow parliamentarians in wearing it pink in Holyrood to encourage people across Scotland to get involved. “Breast cancer is at a tipping point right now. Every year in Scotland around 4600 women are diagnosed with breast cancer, and sadly nearly 1000 people still lose their lives to the disease. This is why we all must come together to support Breast Cancer Now’s cutting-edge research, and, in wear it pink, there is a fun and simple way for everyone to get involved. Now in its 14th year, ‘wear it pink’ raises over £2 million each year for world-class research into breast cancer. Anyone can take part, whether in school, at work or at home. All you have to do is wear something pink and donate whatever you can. Stewart Stevenson, SNP MSP for Banffshire & Buchan Coast, has welcomed performance figures that show a 24 per cent drop in road casualties across Aberdeenshire. Chief Superintendent Campbell Thomson, Divisional Commander for Aberdeenshire and Moray, has presented the first quarter 2015/16 figures to the local scrutiny board in Aberdeenshire. The statistics for the April to June 2015 period show a 24.5 per cent drop in casualties from road traffic collisions and a 40 per cent reduction in serious assaults. “I am encouraged by this report which shows a further fall in overall crime in the first quarter of this year. Despite the figures showing a drop in casualties from road traffic collisions, we have still seen five people killed on our roads in recent months. Through our road safety strategy, Operation CEDAR (Challenge, Educate, Detect and Reduce), Aberdeenshire and Moray Division along with partners continue to work together to highlight this area of concern. "The detection rate for serious assaults is over 93% and for robberies is 100 per cent which is encouraging." “These latest figures for Aberdeenshire are encouraging indeed, and I commend the police force for their efforts and the way in which they work with the public to get these results. Stewart Stevenson, SNP MSP for Banffshire & Buchan Coast, has welcomed North Sea cod back onto the menu after it was taken off the Marine Conservation Society’s list of fish to avoid eating. The MCS had previously advised that cod should not be eaten as stocks were only slightly above sustainable levels. However following a recovery in numbers, the charity has removed cod from its list of endangered fish, and says it can now be eaten as an occasional treat. “The return of cod to our dinner tables is excellent news and this move by the MCS is a great vote of confidence in North Sea cod. It is also understood that the North Sea cod stock is going through an assessment to be certified as sustainable by the Marine Stewardship Council. About 50,000 tonnes of cod is thought to be eaten in UK fish and chip shops each year. Stewart Stevenson, SNP MSP for Banffshire & Buchan Coast, has backed the Scottish Government call for retailers to support local farmers by sourcing Scottish products. 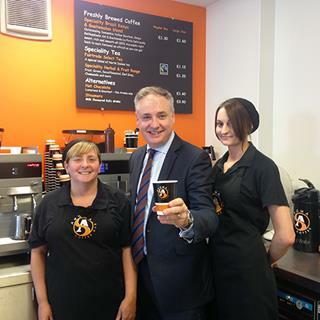 Richard Lochhead, Cabinet Secretary for Rural Affairs, Food and the Environment, has written to major high street coffee chains urging them to commit to using Scottish milk and other produce as Scotland’s agricultural sector copes with volatile global markets. “With farmers across Banffshire and Buchan Coast and over Scotland going through tough times as a result of poor weather conditions and low prices, it is incumbent on all of us to do what we can to support them. This is why I’m calling on major retailers to commit to sourcing Scottish products - to support our farmers in their hour of need. “Scotland’s food and drink sector enjoys an unparalleled reputation across the world – and it’s time that retailers do their bit to ensure that this success filters down to primary producers here in my constituency, and help to ensure a fairer deal for local farmers. Stewart Stevenson, SNP MSP for Banffshire & Buchan Coast, has praised the response of people across Scotland to the plight of the refugee crisis across Europe and urged for more to be done. “This is a moral issue. No man, woman or child stands alone in the world. He welcomed the launch of the website www.scotlandwelcomesrefugees.scot which gives advice on fundraising and how practical help can be given. Stewart Stevenson, SNP MSP for Banffshire & Buchan Coast, has welcomed £12,216 in funding for Peterhead Athletics Club and Portnockie Primary School Parent Council. Peterhead Athletics Club received a £2,335 Awards for All grant which they will use for a range of age appropriate athletics equipment. Portknockie Primary School Parent Council has been given a £9,881 Awards for All grant which they will use to improve their playground. “I am delighted that Peterhead Athletics Club and Portnockie Primary School Parent Council have benefitted from Awards for All grants, and I know that they will put this money to good use and to the benefit of others in the wider community. Stewart Stevenson, SNP MSP for Banffshire & Buchan Coast, has welcomed progress on safeguarding jobs in Fraserburgh following efforts to secure the long-term future of Young’s Seafood factory. At General Question time in the Scottish Parliament today (Thursday), Mr Stevenson asked Deputy First Minister John Swinney what was being done to protect jobs in the Fraserburgh area. Mr Swinney said that continued investment would help to support the local economy, as well as create and safeguard jobs. “I firmly believe that we have offered a very strong case, such that maximum employment can be retained in Fraserburgh. The Government has engaged very strongly with the company and Business Minister Fergus Ewing has drawn together all interested parties to ensure that we have a co-ordinated approach. “I thank the Scottish Government on behalf of my constituents in Fraserburgh for the support that it has given, and the preparatory work that has been done to protect employment at Young’s Seafood. The Scottish Government has also pledged to match any package of aid that the United Kingdom Government provides to Young’s plant at Grimsby, on the condition that it is compliant with state aid rules. Stewart Stevenson, SNP MSP for Banffshire & Buchan Coast has welcomed new figures showing an increase in the number of new homes built in Aberdeenshire. The new Scottish Government figures show that 1,368 new homes were completed across the private and social sector in 2014/15 in Aberdeenshire – an increase of 246 on the previous year. Across Scotland, the number of new homes completed is up by nine per cent to 16,281 in 2014/15, and the Scottish Government is also well on track to exceed its five year target to deliver 30,000 affordable homes by March 2016. “These are very welcome figures showing that the commitment of the SNP in government to affordable housing is paying dividends in Aberdeenshire. “In spite of serious cuts to Scotland’s capital budget from Westminster, the SNP Scottish Government has delivered more social and affordable houses in the last seven years than were delivered in the seven years prior to that. We are now well on our way to exceeding our five year target of delivering 30,000 new homes by 2016. Stewart Stevenson, SNP MSP for Banffshire & Buchan Coast, has called for the next Scottish rail project to be in the North East, in the same week that HM the Queen opened a new railway line from Edinburgh to the Borders. In the debate which highlighted the longest period of uninterrupted economic growth in Scotland since 2001, Mr Stevenson also highlighted the need to look at educational inequality and the importance of investing in unrealised potential to further boost the economy and employment long term. “I am delighted to support Childhood Cancer Awareness Month and will be wearing my gold ribbon to show that I’m standing by the thousands of families who are coping with childhood cancer. “We’re so pleased Stewart Stevenson will be wearing a gold ribbon and supporting Childhood Cancer Awareness Month. During the week of 7 - 11 September schools and colleges across Scotland will be helping 15-17 year old students register to vote by ‘taking time out to get #in’ during class time and local Banffshire & Buchan Coast MSP Stewart Stevenson is encouraging Scotland’s youngest new votes to get ready to register. The Scottish Elections (Reduction of Voting Age) Act 2015 enables 16 and 17 year olds in Scotland to vote at Scottish Parliamentary and local government elections. “The electoral Commission is running this campaign to encourage all schools and colleges across Scotland to hold a registration session during the week of 7-11 September. “Schools participating in the ‘Time out to get #in‘ initiative will run registration sessions where teachers will help their 15 to 17 year old students register online during class time. “The way in which our young adults engaged in the referendum was an inspiration which is why the age has been lowered now for other Scottish elections. Banff & Buchan MP Eilidh Whiteford and local MSP Stewart Stevenson have met with senior health officials to discuss the temporary closure of the Gamrie Medical Practice. Patients of the practice were written to by the health authorities advising that the centre would close temporarily from Monday 31 August as a result of a reduction in GP cover. “This was a very positive discussion and the NHS was at some pains to provide reassurance that the closure is indeed temporary and they plan to re-open it as soon as possible. That is an important commitment to get on the record. “Clearly, transport to and from the medical practice at Banff in the meantime is a major issue and the efforts of volunteer drivers in the community are to be commended and show local resilience at this difficult time. In addition, it is hoped that prescriptions can be distributed from the dispensary from this week. “For Gardenstown, the important message from Friday’s meeting is that the NHS have underlined their intention to have the Gamrie Practice operating again as soon as possible. “We also discussed wider measures to improve the resilience of rural GP practices because, unfortunately, Gardenstown is not the only community affected in this way. “More doctors need to be attracted to working in the rural North of Scotland and we heard how NHS Grampian is working with the Scottish Government, who have committed significant funding to tackle this issue. Banff & Buchan MP Eilidh Whiteford and local MSP Stewart Stevenson will be meeting with senior health officials tomorrow (Friday) to discuss this week’s temporary closure of the Gamrie Medical Practice. “I am pleased to have secured an early meeting with the health authorities to discuss the situation at the Gamrie Medical Practice. “Clearly, this situation is far from ideal. While I appreciate that attracting GPs to work in the North-east has been an issue for some time, people in Gardenstown and the surrounding area have been left in an unenviable position and those without private cars now face a difficult journey due to limited public transport in the area. Stewart Stevenson, SNP MSP for Banffshire & Buchan Coast, has congratulated the First Minister and the Scottish Government on the new Programme for Government 2015/16 launched this week. “The food and drink industry is an important source of employment in my constituency - we are the home of excellent beef and lamb, and fishing is a strong industry in the north-east of Scotland. “I hope that the Government, in supporting the food and drink industry, will look at how we can improve branding for SMEs (small and medium-sized enterprises). “Recent troubles in the fish-processing industry in my constituency are based on the inability of even quite large firms to control their own destiny to an adequate extent. Firms do not own the brands but are doing work for others, on short-term contracts, and when the contract moves, the effects can be devastating. Stewart Stevenson, SNP MSP for Banffshire & Buchan Coast, is encouraging farmers to apply for a share of £38.8 million funding to support beef and inland sheep. 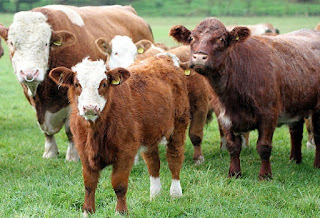 The Scottish Suckler Beef Support Scheme replaces the old Scottish Beef Scheme and will reward farmers for calves born on, or after December 2, 2014. The Scottish Upland Sheep Support Scheme is new and will provide support to help maintain flocks in some of the most challenging agricultural land in Scotland. “Scotch beef and lamb are prime products that are in demand all over the world, and following a challenging summer for farmers, these two new schemes will provide a welcome support for a vital part of the farming industry. “Farming and crofting communities are vitally important and I hope the Upland Sheep Support scheme will help maintain employment, particularly during harsher times. The Scottish beef sector accounts for 22 per cent of Scottish agricultural output over the last 10 years, with beef production being the largest agricultural sector in Scotland. The sector has 11,400 employees on beef cattle holdings, and meat from beef suckler herds is highly valued due to its high marbling factor. Sheep farming is a key agricultural use of rough grazing, with 8800 employed on specialist sheep holdings in Scotland. In 2011, specialist sheep businesses in the LFA (Less Favoured Areas) accounted for 20 per cent of Scotland’s SFP recipients and 6 per of total direct payments.